Ideal conversation exchange partnerPerson who is open minded and shares his own experiences in life and who hangout. My learning goalsI want to learn and improve my French Language and would like to have a chat and discuss. My conversation partnerI'm looking for people from France who I can meet and practise my French with. I also want to learn more about the country, and know where I should go on my travels through the country. My learning goalsI want to be comfortable enough to have conversations with people in other languages with having to refer to a dictionary or google translate. Have a good basic understanding of grammar and vocabulary which can be built on. My exchange partner isOpen minded, knowledgable in the French language, trustworthy, caring and easy to talk to. My learning goalsI want to improve my pronunciation, vocabulary and grammar in the French language but also my general knowledge of the language. 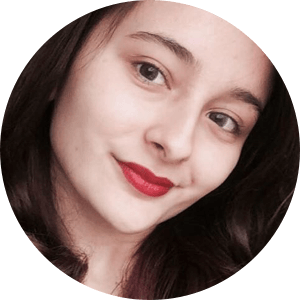 My exchange partner isIf you like languages and are passionate about meeting new people and a new learning experience, this is the right place. My learning goalsLearn notions of a few native languages of countries I’ll be visiting soon. My favorite topicsI’m an amateur chef and foodie, love pop and jazz music and great TV Shows. Perfect language exchange partnerSomeone who likes to chat, hang out and can help me with my French and Spanish and maybe even help me start learning Czech! My favorite topicsMa passion : le sport . Mes passe temps faire rire les gens et sortir entre amis !! J'adore écouter de la musique. J'aime beaucoup regarder des films et des séries.. Perfect language exchange partnerQuelqu'un qui veut toujours s'améliorer et s'amuser, et qui a des idées originaux ou interessants./ someone who wants to always be improving themselves and have fun and who has original or interesting ideas. My learning goalsMieux comprendre et m'exprimer dans les langues divers, faire des nouveaux amis et toujours apprendre./ to better understand and express myself in many languages, make new friends and to always be learning. My favorite topicsPhilosophie, la vie, les langues, les pays étrangers, la culture, les sciences, et ce que vous voulez./ Philosophy, life, languages, foreign countries, culture, Science, and whatever you want. My learning goalsLearn french to be able to work in France. My favorite topicsTraveling, arts, photography, advertising, cultures, music, TV shows and movies. Ideal language community partnerSomebody friendly, chatty and who will point out and correct mistakes that I make.